“There was a sense of peace as we drove up the driveway onto this beautiful property. Knowing that we were able to come here and do this together as a couple – not as ‘one is the patient, one is the caregiver’, but really together as one, on this journey. Everyone from the gardener to the volunteers – everybody – here at Harmony Hill made us feel so welcomed to be here. Knowing that everybody is facing their own journey, that’s why they’re here, knowing that we all have our challenges. 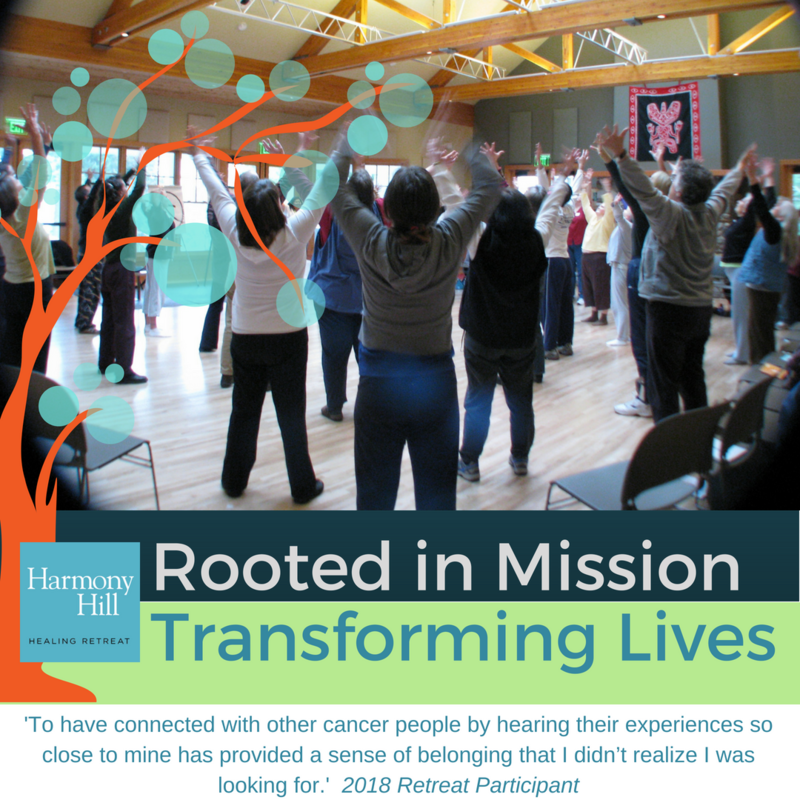 Please share your cancer retreat story with us! Click here to share.